It was with great pleasure that I heard it was our own local resident Helen Thompson who was the BKSA Womens Champion 2013. My kite surfing friends had spoken highly of her and were impressed by her use of a strapless board and her apparent natural affinity with the ocean. Helen winning the championship was a source of pride to us all. Aged 27 years, Helen IS originally from Killearn near Glasgow, but has lived on Tiree for 11 years. 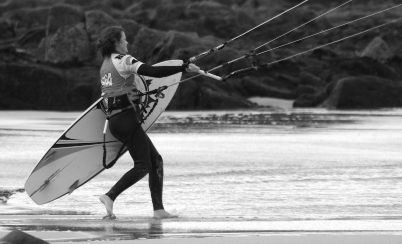 Visiting Tiree with her family in 1993, Helen learnt with a friend to windsurf on Loch Bhasapol – the place to go on Tiree if interested in this increasingly popular sport. Going on to learn surfing and kite buggying, Helen eventually had her first kite surfing experience in 2003 and that is where her interest has stayed. Although Helen has not competed for four years, she is no stranger to competition and winning. She was British Amateur Champion in 2006, British Overall Kite surfing champion in 2008, British Wave Masters Champion in 2009 as well as South African National Cable Wakeboard Champion in 2009. Helen a cheerful, friendly lass, started her own Tiree kite surfing academy in 2010 and gets a real buzz teaching a wide range of age groups, a skill that makes being in the water much more fun. Catching up with Helen at Crossapol beach after the weekend celebrations I asked her what the competition had been like for her. “Well the weather conditions were amazing. Absolutely fantastic. We completed the competition a day early with three full rounds of all categories. We had cross off from two different tacks over the week and decent 20+knots. Tiree really lived up to its reputation as a world class venue. Elsewhere you can wait for days for the right weather conditions to occur. 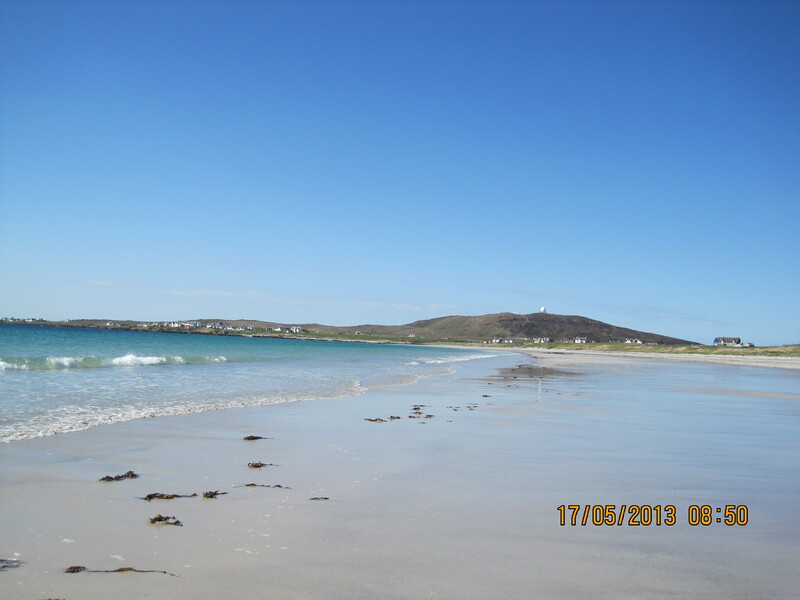 My favourite kiting beach is Crossapol; off shore, cross shore, its brilliant with waves in all directions, and although I have travelled extensively I would probably say that Tiree is my favourite place to kite surf as I haven’t been anywhere in the world that offers as many options in different conditions. Thanking our new British Kite surfing champion for her time, I depart thinking of Alastair Mathieson (The Green). A keen kite surfer now in his early 70’s, Alastair is living proof that adrenalin sports aren’t just for the young and you’re never too old to have fun and keep fit at the same time.